The Shared Parental Pay Equality was proud to be on the March of The Mummies at Westminster today. The march, organised by Pregnant Then Screwed, was a great success with hundreds of “mummies” marching from Trafalgar Square to Westminster in support of the organisations 5 demands. 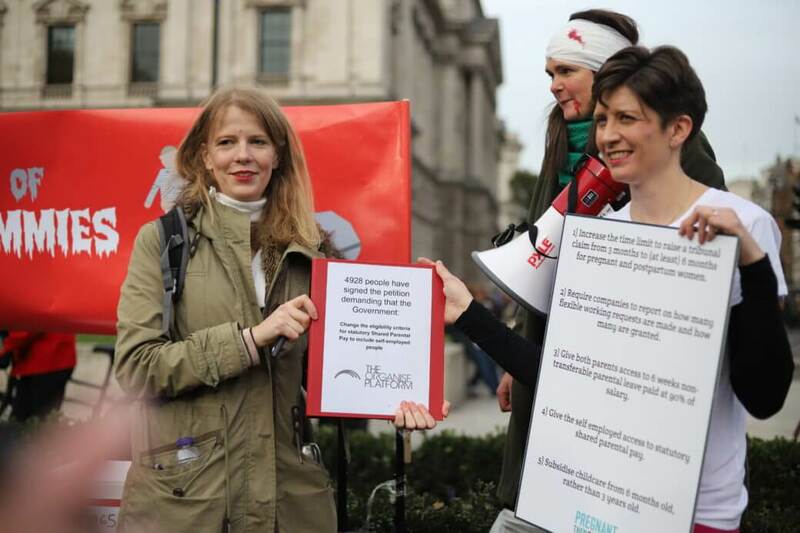 The Campaign for Shared Parental Pay Equality handed our petition of nearly 5k signatures demanding shared parental pay for the self-employed to SNP MP Alison Thewliss. It was great to see Tracy Brabin MP, Ellie Reeves MP, Afzal Kahn MP and Mike Amesbury MP at the march, who all support our aims. Followed by a productive meeting with Jo Swinson MP, Deputy Leader of the Liberal Democrats, at the House of Commons discussing how to progress the campaign.